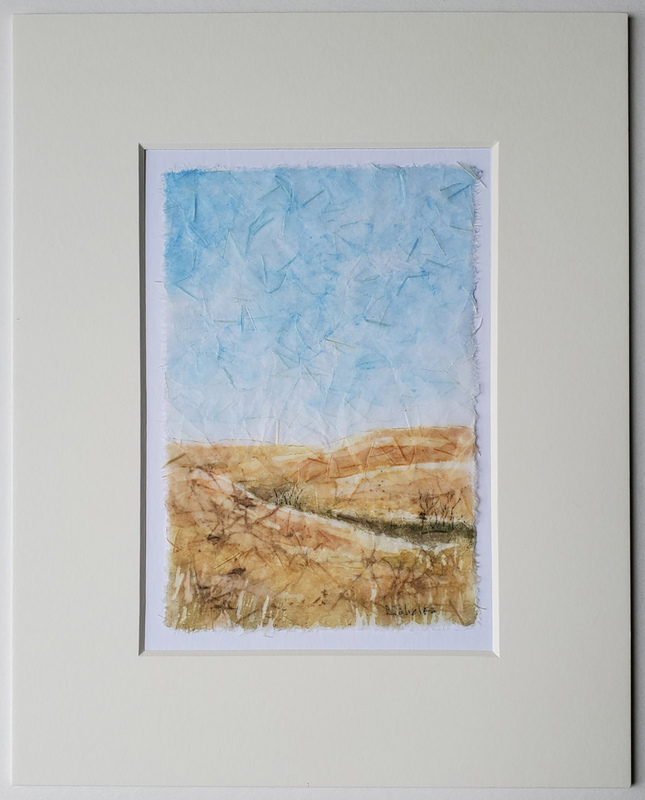 This evokes the subtle colors of the tallgrass prairie after the first frost. The trees growing in the draws show their bare branches against the prairie grass under the blue dome of the sky. The batik is 9 by 7 inches in size. It is matted to fit an 11 by 14 inch frame.